Penrith CBD Corporation is here to help. Our business is here for local businesses to connect with us and to get support, advice and assistance in order for their business to succeed. Whether it is a facade upgrade or a revision of your marketing strategy, Penrith CBD Corp helps with all facets of your business and connects you with the experts to ensure you unlock the opportunities in the CBD. Below is a short explanation on our services, but please drop us a line or drop in, we love to connect and help local CBD businesses and look forward to providing information, connecting our local experience to help you grow your business. Connect with us and learn how we can help YOUR business or property. 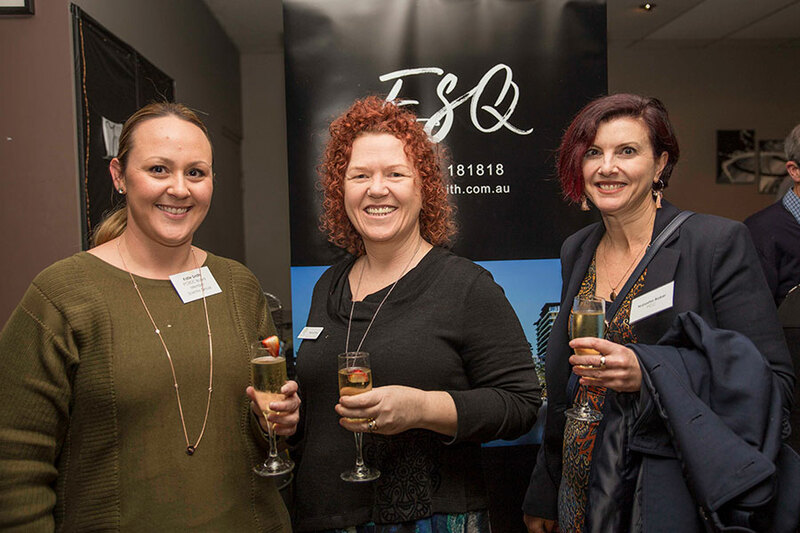 We work with key stakeholders including HR Success to offer assistance with business plans, marketing & customer service training to improve opportunities for small business in the CBD. 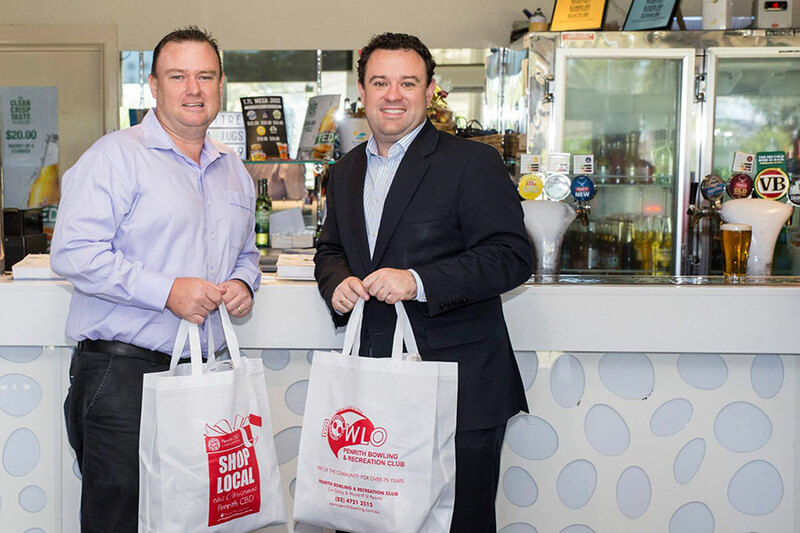 Continued opportunity to assist small businesses in the CBD and be skilled and ready for the future growth. HR Success offers free Workshops and Consultations for business owners and operators to educate themselves on all aspects of running a business. We also work with Nepean Community College on projects to assist small business. 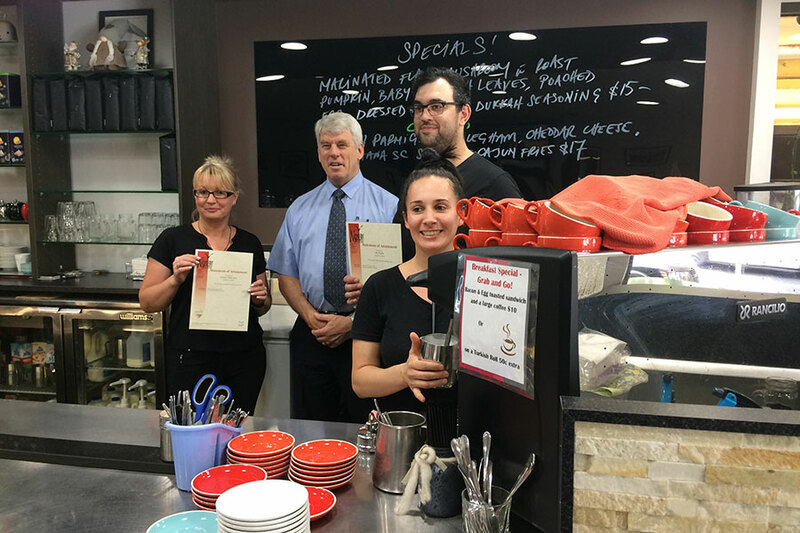 During November 2016 we assisted 35 local staff from cafes & restaurants in the CBD complete a Nationally Accredited Barista training Course. 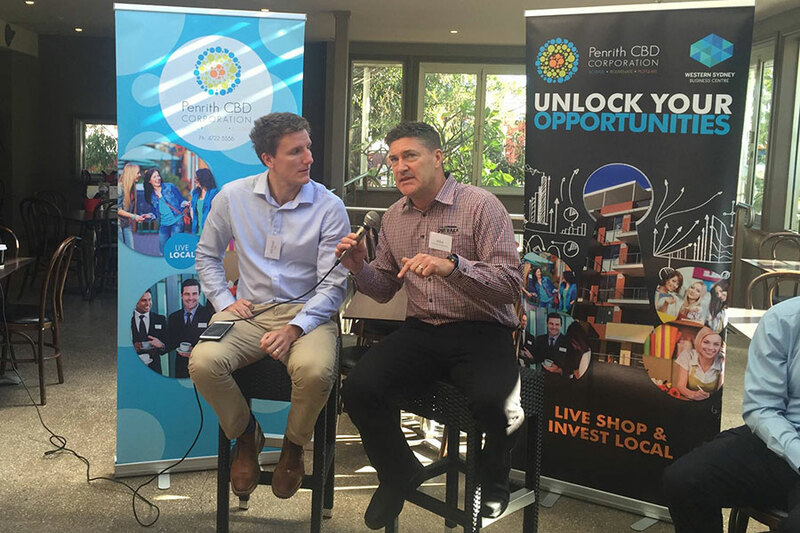 The CBD Corporation work strategically with Penrith City Council on future planning of a greener sustainable CBD. The membership is continually striving for a stronger communication for all business and property owners to connect locally. 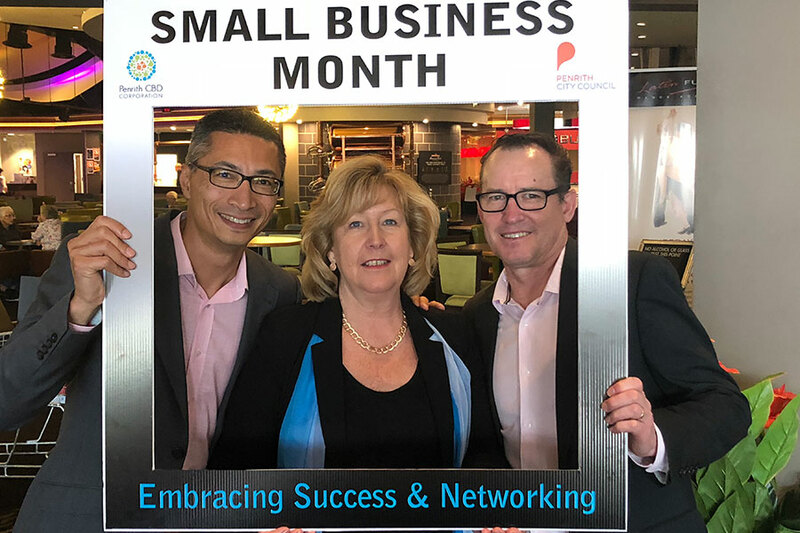 Proudly sponsored by HR Success, the CBD membership helps us establish a local data base, connecting our members with key stakeholders; including Penrith City Council, State & Federal Members, Penrith Valley Chamber of Commerce, Western Sydney Business Centre and Nepean Business Network to name a few. 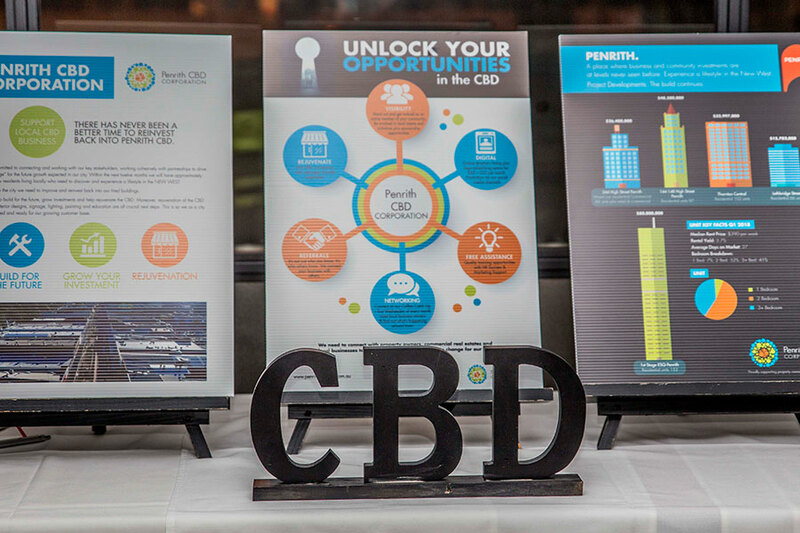 Our aim is to keep our CBD doors open for the exciting infrastructure growth our regional city is expecting, helping small business economically grow & establish success! Apply for CBD Membership today! We hold monthly “Coffee Catch Ups” first Wednesday of the month 7.30-8.30am at MAZE Cafe, Penrith RSL for our members to connect. Special guest speakers, launch of member’s products or information for small business create our business morning connecting. Working with our local commercial real estates & CBD property owners, we have launched “Welcome to Penrith CBD USB”. This USB has local information to assist new business or property owners connect locally & make an easier transition into our city. Explore Penrith and its activities, places to stay, places to eat and events to experience. Our community is waiting for you! Plan a trip to Penrith and see what it has to offer! Whether it’s exploring the CBD, dining at a variety of amazing restaurants, cafe’s and bars to sailing down the Nepean River at sunset, our community is waiting for you to experience a whole host of of unexpected finds. So what are you waiting for? STAY SHOP & DISCOVER PENRITH! Our CBD Events page Facebook have all the up to date information regarding our CBD Events. 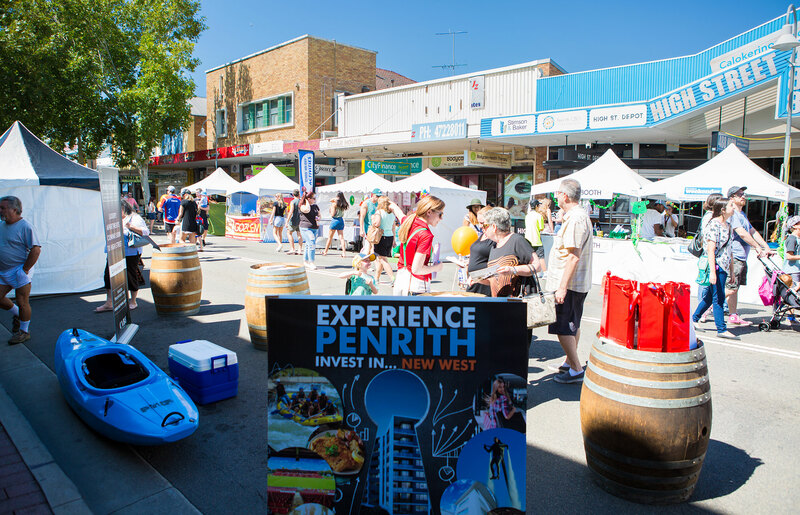 Our annual Penrith CBD Festival brings over 20,000+ visitors & local residents to our CBD. 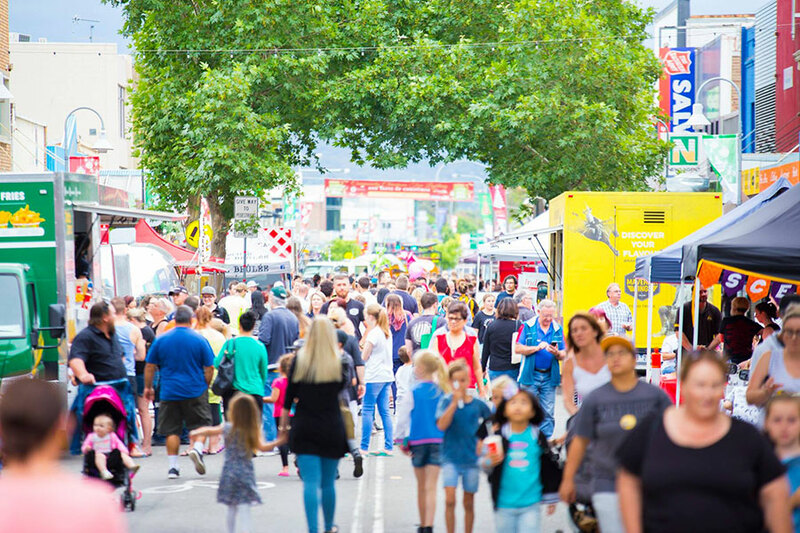 We are always looking at opportunities to activate the CBD, bringing lifestyle choices for our CBD businesses & local residents to celebrate throughout the year.